Please download the graphics to your own web server; do not reference the images from this site. Feel free to link either to the main page (http://www.boardgamecentral.com/) or an inner page, as you see fit, but be aware that individual page URLs may change over time; the safest place to link is http://www.boardgamecentral.com/. 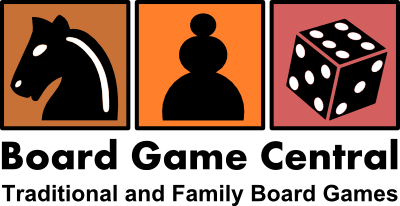 Board Game Central is one of the web's premier sites for traditional and family board games that you can play with friends, family, or online with people from around the world.